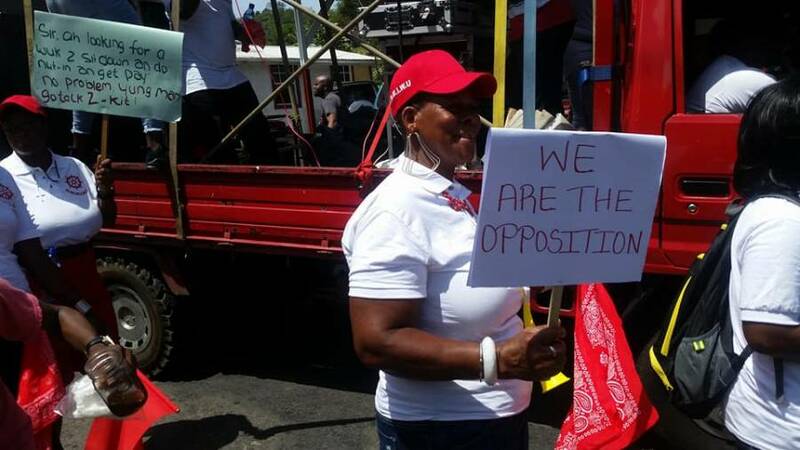 Labour Minister Peter David has disclosed that among the many priorities of the labour ministry which he began heading 6 weeks ago, is a review of the minimum wage and strengthening of the legislative framework on the basis of the decent work principles of the International Labour Organisation (ILO). 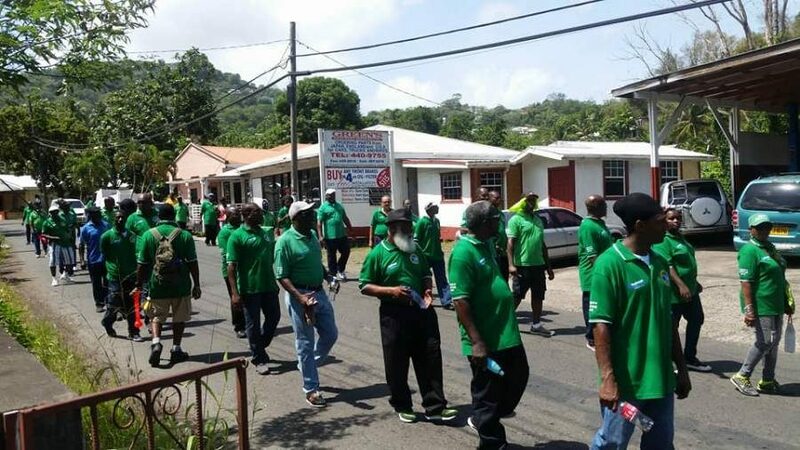 In his first Labour Day address to workers, David, who took up the post following the 13 March General Election, said that in moving forward, the Ministry of Labour under his guidance is committed to building a solid partnership with both trade unions and employers. “It is my desire to become an effective bridge to strengthen the tripartite relationships. 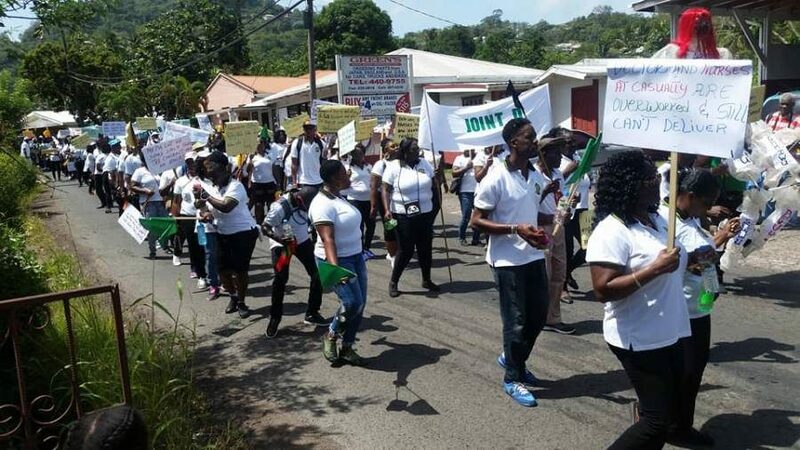 The Ministry of Labour is also committed to the improvement of occupational safety and health at the workplace and the wellness of the working population,” he told the hundreds of workers who came out to parade the streets with messages on placards which focused on individual or collective grievances. David, who is also the Minister for Foreign Affairs, gave the assurance that the ministry will strengthen the legislative framework on the basis of the decent work principles of the ILO to ensure that its core labour standards are respected and implemented. “Comrades, the issue of labour productivity is one that we are committed to addressing in order to improve our labour competitiveness, safeguard jobs and expand employment. The Ministry of Labour will also seek to promote and improve social security of retired and aged workers,” he said. “We will also pursue the implementation of a labour market information system within the ministry of labour. Urgent attention will be given to addressing a review of the minimum wage. The long outstanding task of completing the review and enact the amendments to the Employment and Labour Relations Acts will be done,” he added. Bringing greetings from Prime Minister Dr Keith Mitchell, David said that ruling New National Party (NNP) administration would vigorously pursue expansion in the Seasonal Farm Workers’ Programme and set up an overseas employment agency within the ministry to source overseas employment.